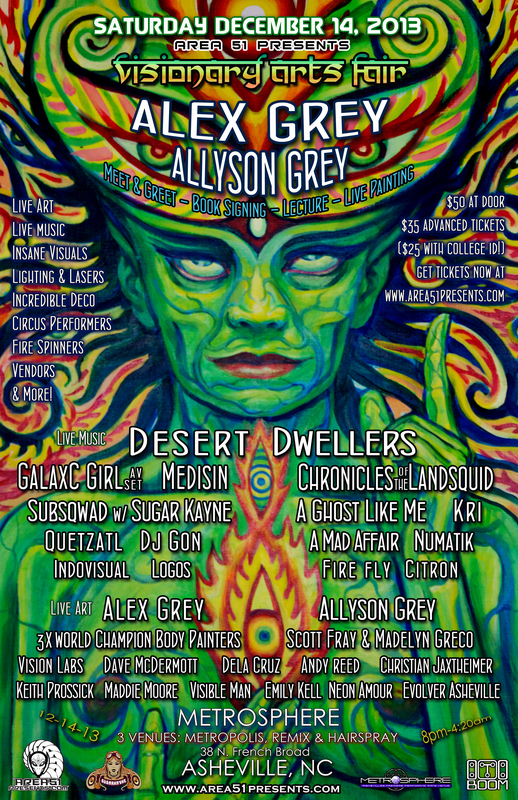 DESERT DWELLERS, GALAXC GIRL Audio/Visual Experience & TONS MORE. adding ASHEVILLE to the 3rd Annual Visionary Arts Fair – 3 date tour – this is the Grey’s first time in Asheville, NC. Meet & Greet, booking signing & lecture in the evening and a night of live painting with dance music. You are currently browsing the professionalpartiers blog archives for November, 2013.